UnEarthed luxury candles by the Candleberry Candle Company are created by leading professionals in the perfumery industry. 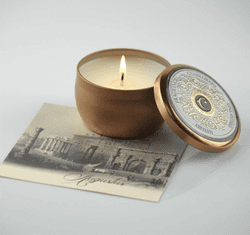 Made of a proprietary wax blend that burns evenly and is completely free of dyes and pollutants, the powerful scents are highly aromatic - strong enough to provide fragrance for a 4,000-foot home. The UnEarthed line has all of the highest levels of product performance available and known to Candleberry today. 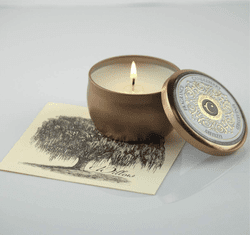 Oak wood, brushed suede, vetiver and patchouli with bright notes of Bergamot carried by warm tobacco and amber. Tuberose and orange blossom fantasize of being the gorgeous fragrance of a Stargazer Lily by blending with an impeccable bouquet of pink pepper and patchouli supported by hints of pineapple nectar and clary sage. 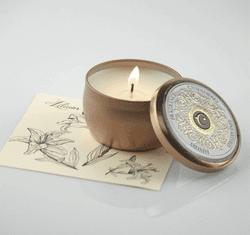 Musk of the tobacco flower and tobacco leaf are accented by an earthy blend of spice and tonka, finishing on a note of silken vanilla bean pod. Masterfully paired jewels of decadence; vanilla cream, candied pecans, royal maple, and brown sugar. 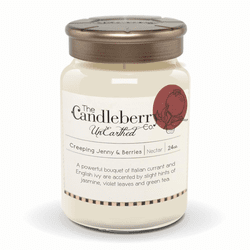 A powerful bouquet of Italian currant, and English Ivy are accented by slight hints of jasmine, violet leaves and green tea. 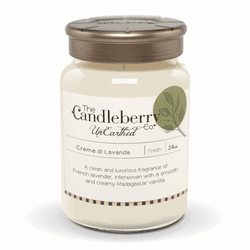 A clean and luxurious fragrance of French lavender, interwoven with a smooth and creamy Madagascar vanilla. White Tea and coconut push brightly through an interesting, light mix of lemon zest and amber, with sparkling notes of sea spray. 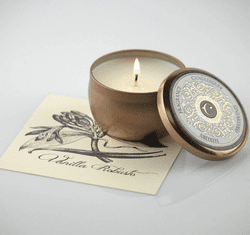 French coconut milk and French tonka, blended with a perfectly balanced symphony of bright citrus fruits. Exotic, earthy woods with a smooth bouquet of jasmine, lily and clove buds make for a perfectly warm, fantastical sandalwood. Rich, smooth vanilla custard, crusted with a fired-sugar and just a slight hint of honey-rum flambe.